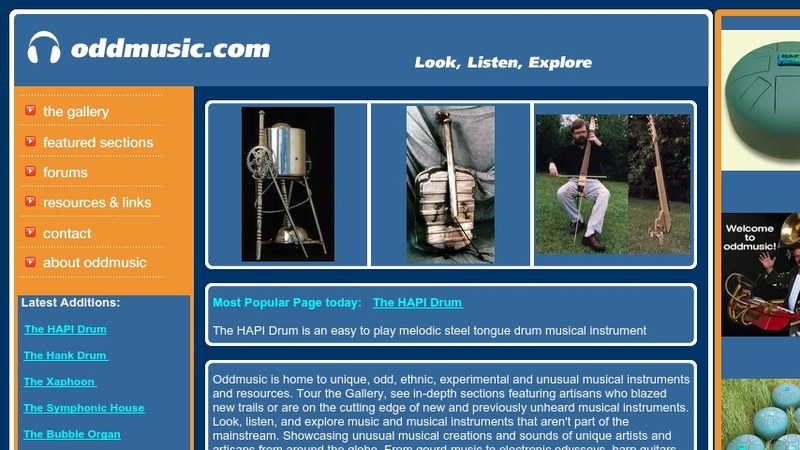 The oddmusic website is a collection of resources describing unique instruments and uncommon recordings that have been created. The meat and potatoes of the site is the gallery - the collection of instruments, complete with photographs and often sound clips of the instruments. The site also has separate sections devoted to particular areas of instruments, including theremins and circuit-bending instruments. The resources section includes a glossary of musical instruments and styles along with a musical quotes section that provides musical ï¿½great quotes ranging from Plato to Miles Davis and beyond.ï¿½ The site also provides further links if your interest is piqued as well as a yahoo discussion group associated with the site.